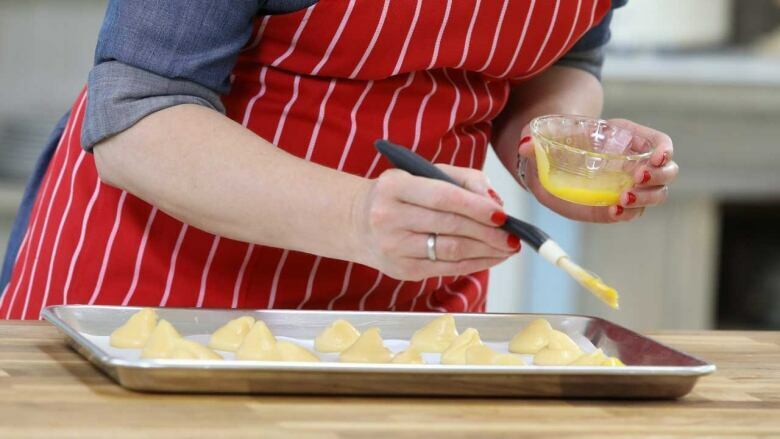 Judge Rochelle Adonis demonstrates step-by-step instructions on creating perfect, puffy choux pastry. 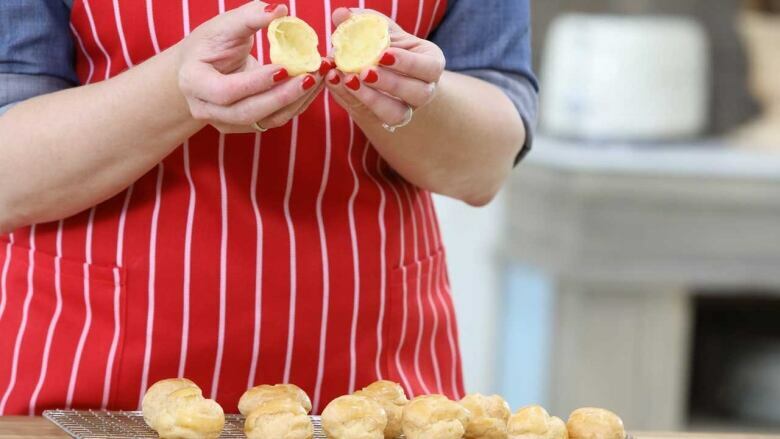 In honour of French Patisserie Week, Judge Rochelle Adonis demonstrates how to make a perfect, puffy choux pastry (also known as cream puffs. In a medium saucepan, combine butter, water, and salt. Cook until mixture comes to a boil and butter completely melts. 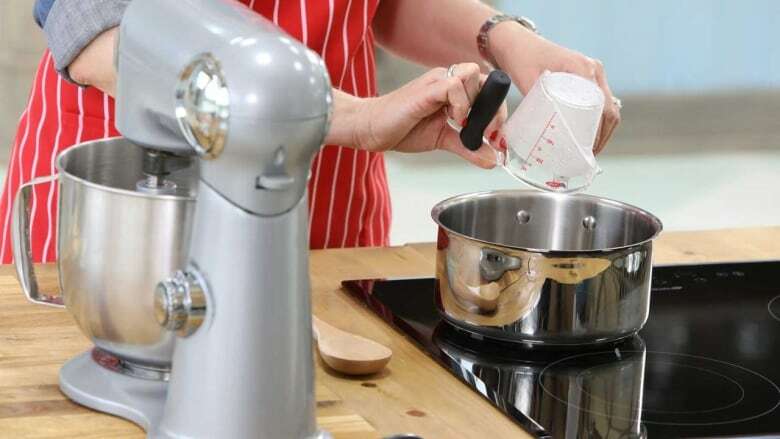 Remove saucepan from heat and add flour into mixture. Stir vigorously until no dry ingredients remain. The mixture will start to take a dough form. Place the pan back over medium heat and stir until dough is dry and doesn't stick to the bottom of the pan. 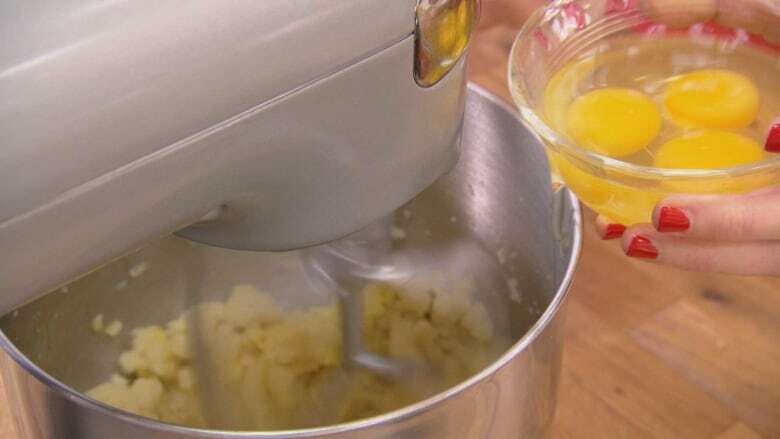 Transfer dough into a stand mixer and mix on low until the dough is lukewarm. 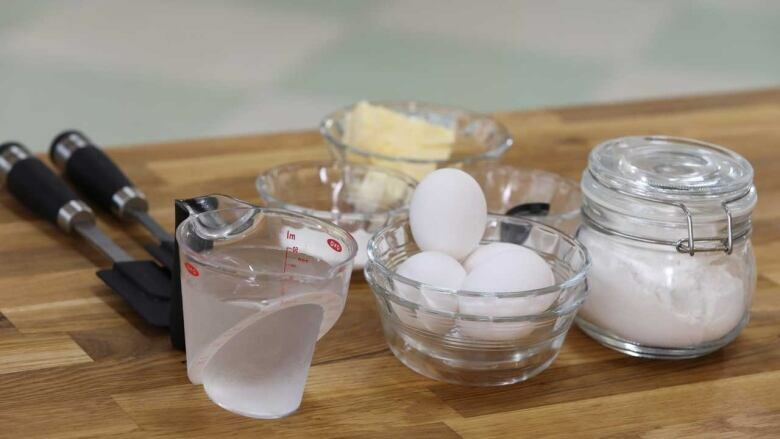 Continue to mix the dough while adding eggs one at a time. Let each egg incorporate before adding the next one. 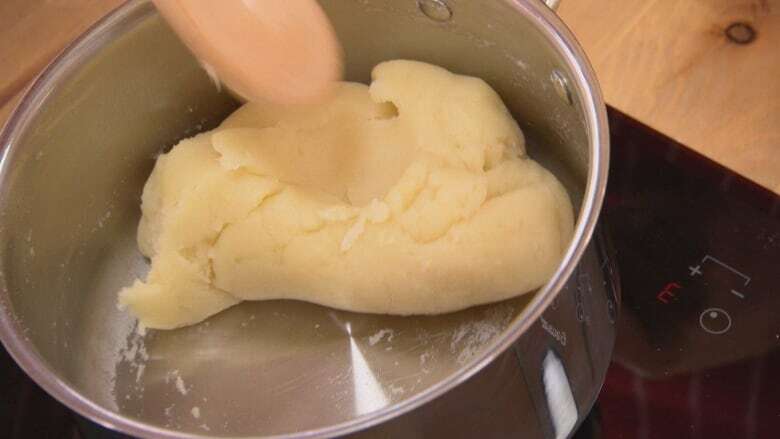 Do not add the eggs while the dough it hot or the eggs will cook and ruin the smooth texture of the dough. Remove bowl from stand mixture once eggs are fully incorporated. 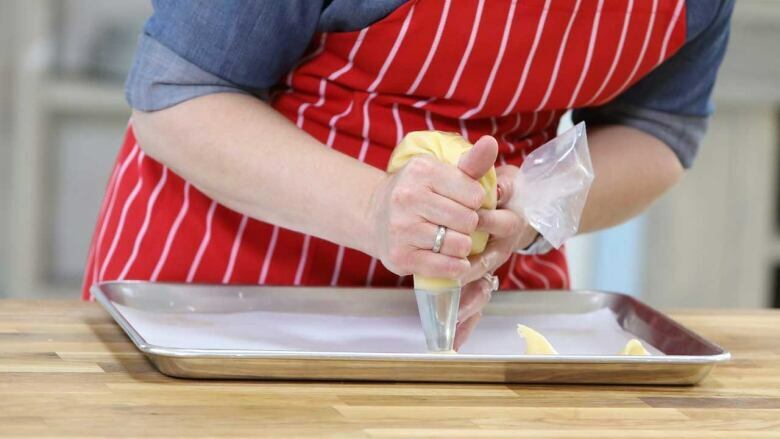 To test for the right consistency, scoop up some dough with your spatula and let it slide back into the bowl, it should leave behind a little "V" of dough on the spatula. 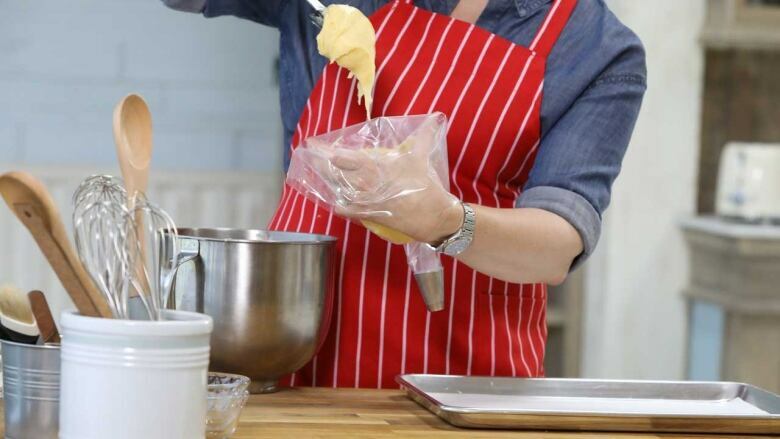 Transfer dough to a piping bag and pipe 1-1/2-inch rounds onto a pan prepared with parchment. Leave room around each puff so they don't touch in the oven. Take an egg wash and gently brush the top of each puff to achieve a golden brown finish. Bake at 425F for 10 to 12 minutes until the pastry puffs up, then turn the temperature down to 375F for another 15 minutes to dry them out. 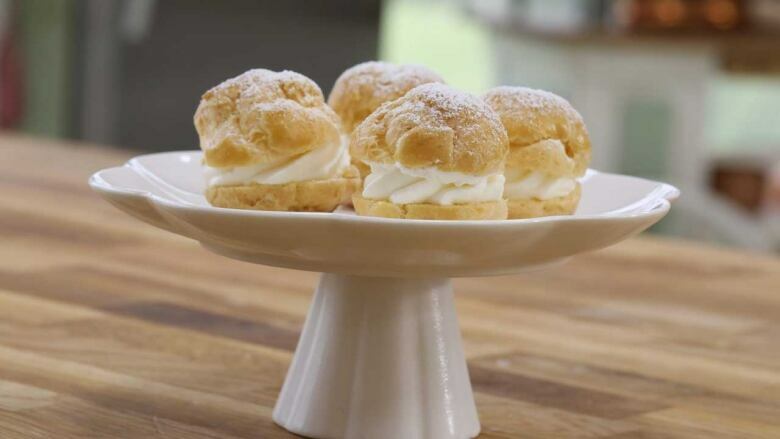 Pipe cream puffs with desired filling.